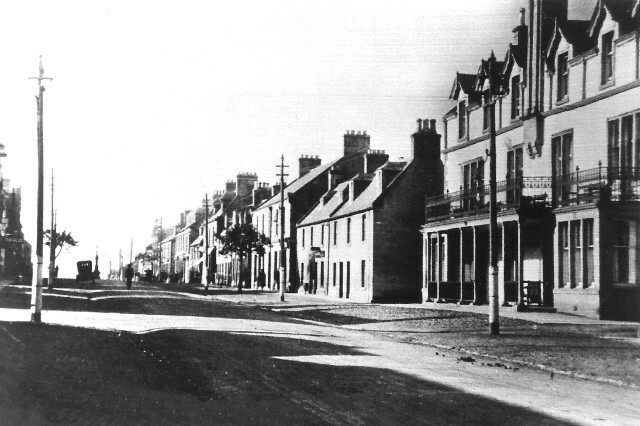 The East end of the High Street with the Royal Hotel on the right. Any idea of the date that this picture was taken? Judging by the car parked towards the cross-roads it may have been taken in the 1920s. The lines of the telegraph poles gives some idea of the pavement width. The position of the car in the background seems to confirm this but there is no clear-cut kerb. The lack of traffic some 100 years ago makes walking down the middle of the road a relatively safe pass-time.